My name is Phearom Va, I am 20 years old. I come from Pursat province. I am a first-year student at Pannasastra University of Cambodia (PUC), majoring in international relation and media art. 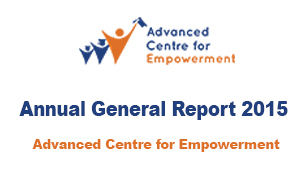 I’m also a scholarship student at “Advanced Centre for Empowerment” (ACE). I volunteered as an administrator and weekend training team member. I have learned a lot like how to work with a team, how to answer the phone politely with participants while preparing required documents. I have especially improved my communication and computer skills. Nowadays, I am volunteering as an English teacher at Wat Thann Heimberg Center. I have learned to work with the community and motivated children. I have learned to better my English skills, class facilitation, patience, decision making and problem-solving. Besides my volunteer work, I also attend ACE’s leadership training program that provides me with many skills such as being an effective leader, self-motivation, self-confidence, self-discipline, self-control, being responsible and courageous, while building good relationships with others. In my future, I hope to become a successful business owner and a good leader. I want to help people in Cambodia who have less ability and education to have bright futures like I now have.